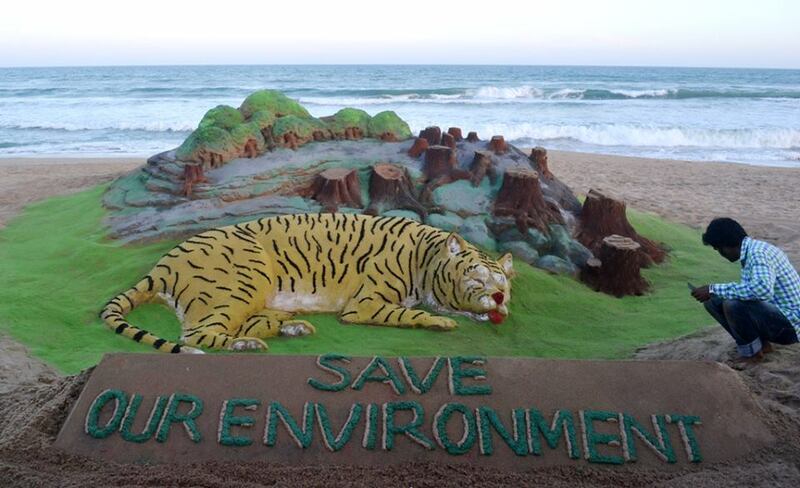 It is high time we realized that environmental degradation puts our future in peril. Besides, we are supposed to hand over our common heritage to future generations. The task will become well nigh impossible if we don't preserve the existing things. Numerous species have already become extinct and many more are currently on the endangered list. We must not go down the same path. The felling of trees due to our ever growing needs has been on an unprecedented scale and has caused an alarming depletion in green cover. The overall rainfall has been decreasing over the years in inverse proportion to the greenhouse effect, leading to disastrous climate change. Residents of areas which received abundant rain in the past are facing water scarcity at present. Cherrapunji in the state of Meghalaya was till the 1980s the wettest place in India, it hasn't recorded sufficient rain for years now. Vast tracts of land which were once lush green have turned into deserts. Several important glaciers have significantly shrunk in size. Polar ice is also melting fast. Large icebergs have been seen floating near Antarctica. If this trend continues, sea levels will rise and entire islands could be submerged. In order to avoid ending up in a watery grave, millions living on the coast or near the sea would be forced to relocate. 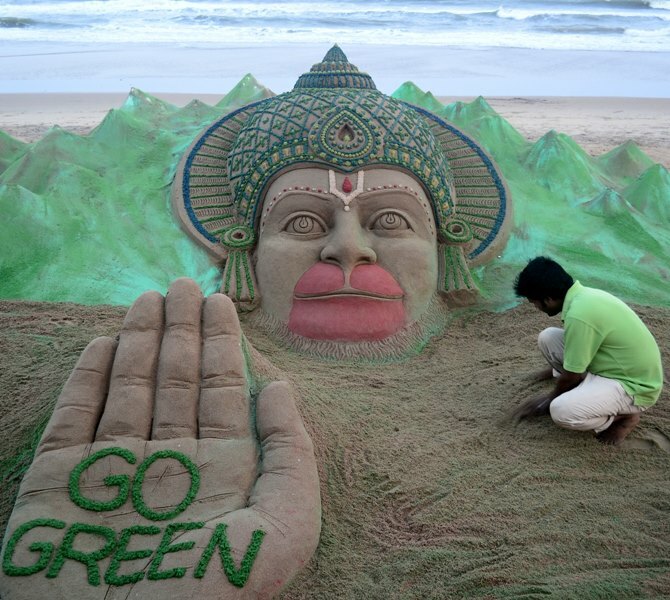 2013 is the 41st anniversary of UNEP, the United Nations Environmental Programme. 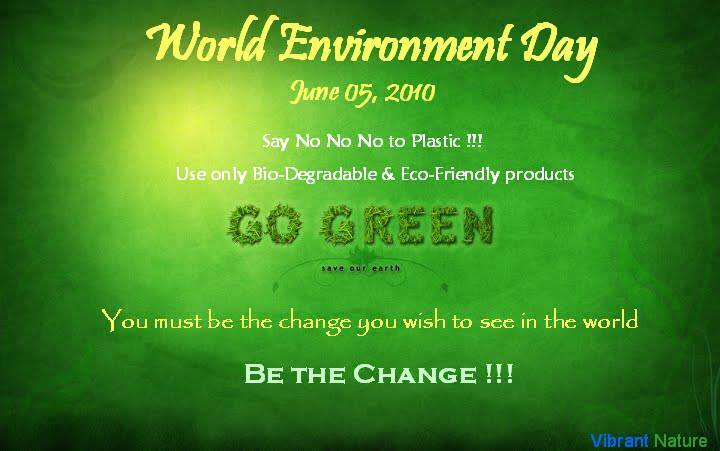 Everyone counts in this initiative and World Environment Day relies on you to make this happen! We call for action – organize a neighborhood clean-up, stop using plastic bags and get your community to do the same, plant a tree or better yet organize a collective tree planting effort, walk to work, start a recycling drive . . . the possibilities are endless. Buildings - Construction has consequences - let's construct a better world! Fisheries - Seafood is delicious and healthy - but depleting our fish stocks isn't! Transport - Congestion, pollution, traffic accidents . . . there's a better way! Water - Use water wisely! Agriculture - Use your consumer power to support local, organic and sustainable agriculture! Energy Supply - Our lifestyles demand energy, but is the demand too great on our resources? Tourism - Tread lightly on your travel destinations. Waste - If everything you buy becomes waste, where will we put it all? Manufacturing and Industry - It's no big secret that industry and manufacturing have been rough on the environment - but things can change, and you can help! 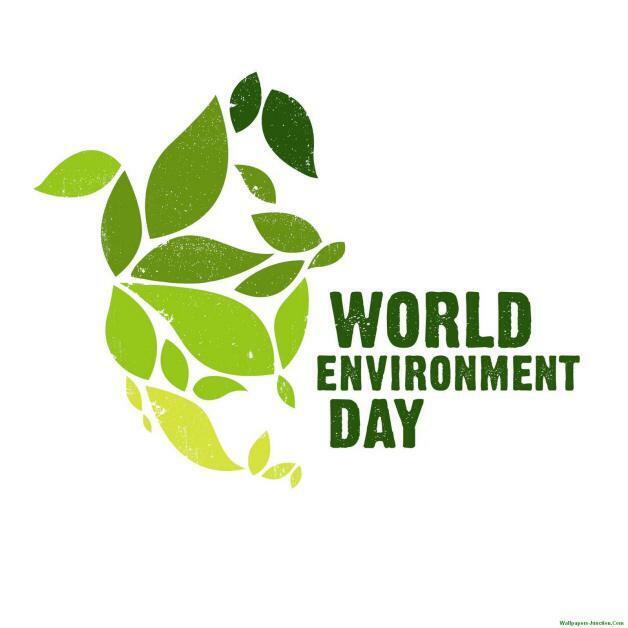 World Environment Day this year will help to raise awareness on the serious impacts of carrying on with business as usual. Through engaging governments in action and your spreading the word on the importance of a Green Economy, this collective effort will preserve nature, while achieving growth, and encourage sustainable development. 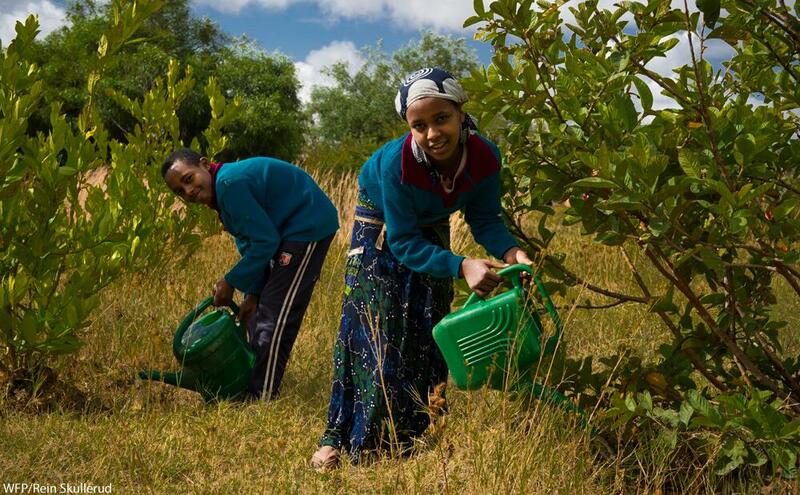 By celebrating World Environment Day, we remind ourselves and others of the importance of caring for our environment. Remember that every action counts, so join us: every year, everywhere, everyone! We human beings are responsible for the destruction of our mother earth and so it's our own duty to do every bit to save our mother earth. "We have not inherited this earth from our parents to do with it what we will. We have borrowed it from our children and we must be careful to use it in their interests as well as our own." -Henry Cass.